Boosted has pulled out all the stops for this premium board. 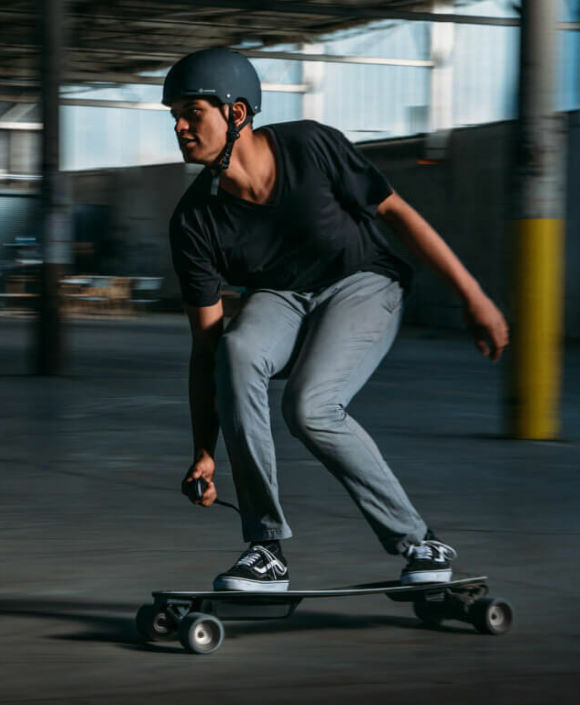 If electric skate is your passion, you'll want to take a look at the Boosted Stealth. It's not only fast, but has an additional ride mode to boost acceleration. On top of that, it just plain looks sweet! 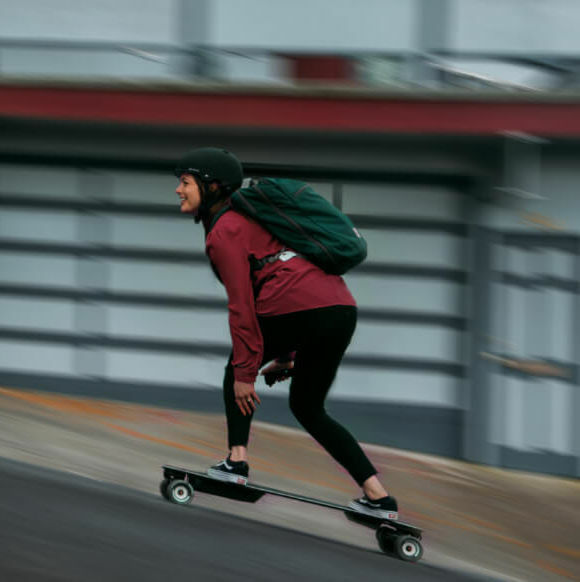 Stealth is the high-performance electric longboard you've been dreaming of, built from the ground up with attention to detail at every turn, including a new ride mode, exclusive to Stealth, with higher top speed and lightening-fast acceleration. 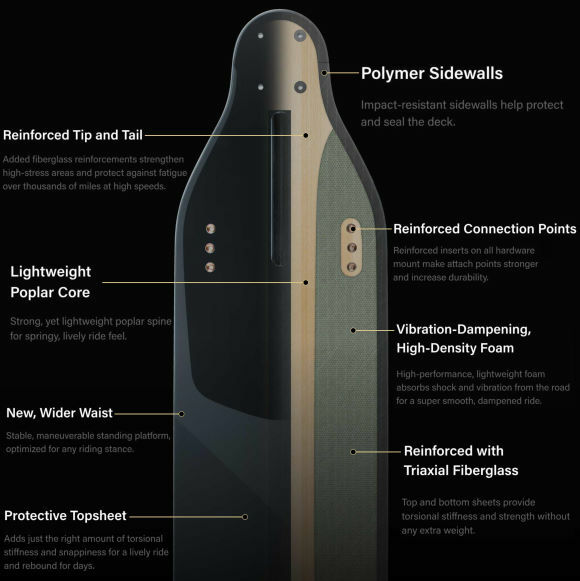 The deck's construction has been re-imagined utilizing techniques developed in snowboard manufacturing to deliver a more refined ride feel, while retaining the flex, vibration absorption, and deep carving capabilities Boosted riders have come to love. With a focus on the rigors of daily commuting, we've upgraded the drivetrain with CNC precision machined trucks. Stealth comes stock with Boosted's new, custom-designed 85mm Stratus wheels. 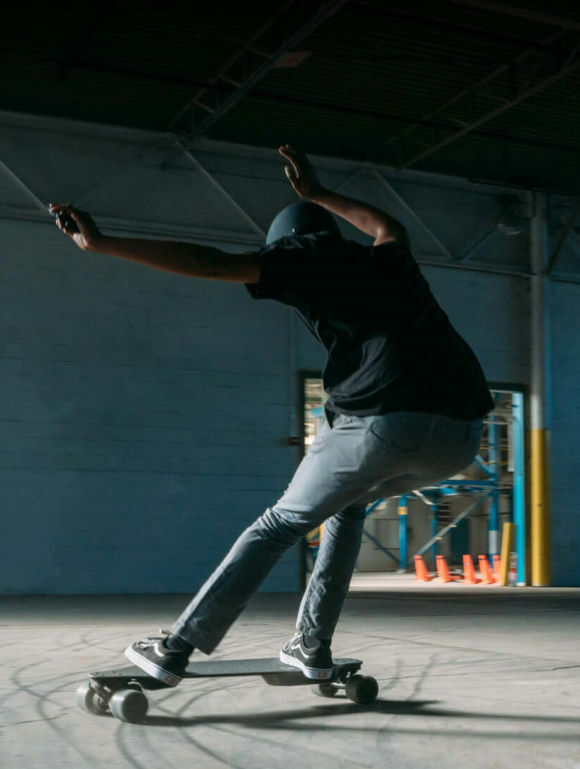 For the ultimate in electric skateboard technology and performance, look no further than Boosted Stealth. Range: Go up to 14 miles with the extended range battery. Top Speed: Get there faster with a 24 mph top speed and super responsive acceleration. Hill Climbing: Climb a 25% grade with speed and ease. 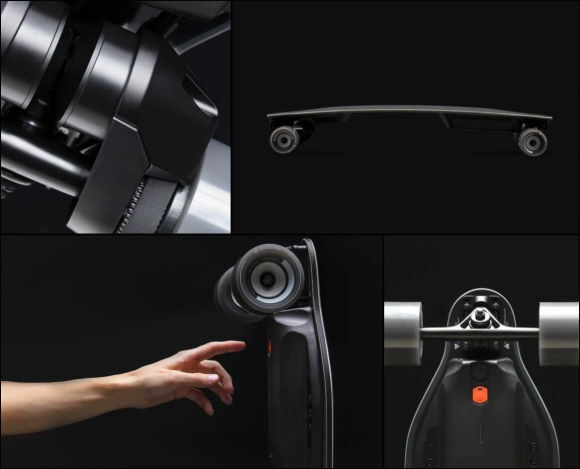 Ride Modes: 5 ride modes, including the all-new Hyper mode, exclusive to Boosted Stealth. Wheels: Boosted Stratus 85mm wheels deliver the highest roll speed of any Boosted board to date. Deck: Super Flex composite deck retains the flex and feel for a super response ride. Braking: Regenerative and reliable. Come to a smooth stop at any speed. Remote: Ergonomic and Bluetooth enabled. Control your speed with comfort and ease. For those who love to fly, Booted Stealth features an exclusive 5th ride mode that reaches a thrilling top speed of 24 mph. 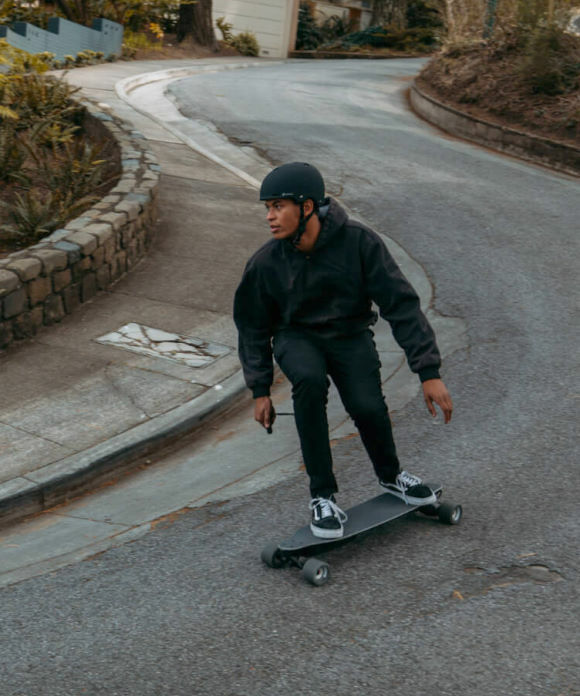 For our highest ride mode, we've dialed back our patented Jerk Filter, making the remote more responsive to input and giving riders a more direct connection to the board's power. That means with Stealth there's no such thing as too steep. Cruise up hills as daunting as 25% grade with style and ease. 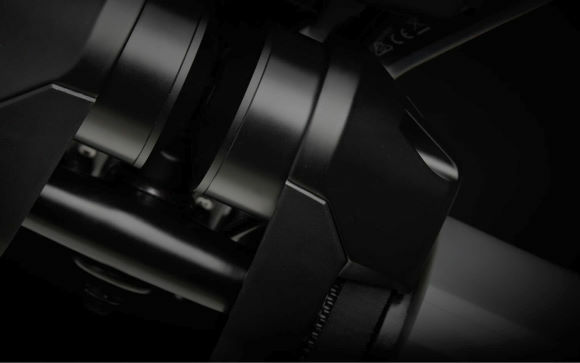 Every component of Boosted Stealth has been pored over by our team of designers and engineers to deliver the highest performance to date. We never compromise on quality. Our 190mm trucks have been completely overhauled for this next generation of Boosted boards. We've added material for increased strength in high-stress areas and upgraded our manufacturing process to allow use of higher grade metal. The result is a massive increase in overall strength right where it counts. Boosted's ergonomic remote works in concert with our cutting-edge firmware to make the Boosted experience incredibly simple, intuitive, and reliable. Each ride mode includes a unique Jerk Filter that provides a smooth taper when accelerating or braking. For our highest ride mode, we've dialed back the filter, so you can hit the throttle and fly.